Emily Sears, a proud Virginia Elite alumna, returns for her fourth season as the assistant coach of the 14’s team alongside her parents, Kim and Dave Sears. 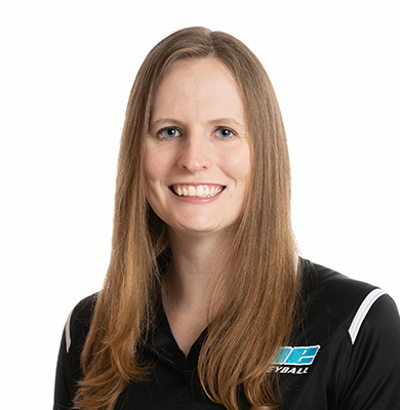 In addition to playing five years of club volleyball, Sears was an accomplished four-year member of the varsity team at Broad Run High School. In her time with the Spartans, she was named to the Dulles District First and Second Teams All-Conference, as well as the First Team All-Region and Second Team All-State. Sears then played for two years at the NCAA Division I University of Southern Mississippi before transferring to Francis Marion University. In her junior and senior year, she made the Peach Belt Conference’s 2013 Second Team All-Conference and the 2015 All-Academic Team. Sears is also a Powercore 360 trainer and was recognized as a Diamond Coach 2017. Sears earned a B.S. in Chemistry with a minor in biology from FMU. She now resides in Ashburn, Virginia and works as an Inside Sales Manager for ImmixGroup.